How do I register on The Body Shop West Malaysia website? It’s easy! Click on the Sign In button on the top right corner of the website. Click on the Register button, you will be directed to an online registration form. Fill in your contact details. Make sure your details are correct to avoid any delay in your delivery! You may also opt to register via your Facebook account. Don’t worry, we can help you! Click on the Forgot Your Password link in the Sign In page. You will be directed to the password retrieval page. Enter your e-mail address and we will immediately send a temporary password to you. Once you have successfully accessed your account, remember to update your password. We strongly recommend that you change it as soon as possible. How do I change my contact or address details? It’s really easy! You can change your contact or address details on your My Dashboard page. Can I use my Love Your Body™ Membership to purchase online? Unfortunately, at this moment Love Your Body™ membership benefits are unavailable to use online. To purchase, please register a separate online account. But look out for our next upgrade coming soon! 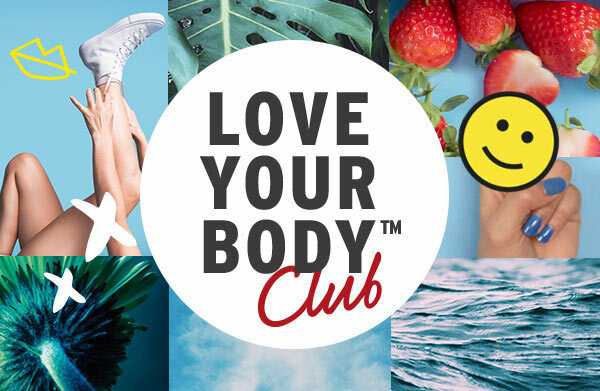 Love Your Body™ Membership benefits include Rebate Vouchers, Birthday Treat Discounts, Point Accumulation, Membership Renewal and Gift Packaging Services. These benefits are only applicable on outlet purchases. It’s really simple! You may make an online purchase either BEFORE or AFTER you have registered an online account on The Body Shop West Malaysia website. Select your product and click Add To Cart to add the item into your shopping cart. Choose the quantity (qty) you need and click Add To Cart. You may continue to browse other items by clicking on the category tabs on the top page bar. Just repeat steps 1 & 2 for all other selected products. Once you have finished selecting your products, simply complete your delivery details and proceed to payment. Once your order has been submitted successfully and payment is received for your purchase, no further changes can be made. We advise that you carefully review and modify your order before payment submission. For complete details please refer to our Shopping Policy. I have selected the wrong product. How do I make changes to my order? No problem. You can make changes while you are still selecting items for your purchase. However once you have confirmed your order and finalized payment, no changes can be made to the order.We advise that you carefully review and modify your order before payment submission. Don’t worry! If an item is out of stock, simply click E-mail Me When In Stock from the product page to submit your e-mail address. We’ll notify you when the item becomes available. Are there other ways to locate my tracking number on my account Dashboard? YES, you may also find the tracking number for your order in the SHIPMENT tab on your Dashboard or via the Shipment Notification Emailsent to your email address. For other alternative methods to find your tracking number please check out our Online Tracking Guide. Having difficulties? Please contact Customer Service by phone +6(03) - 56324313, Monday to Friday (excluding Public Holidays) from 9am - 5pm for assistance. Subject to availability. What do the order statuses ON HOLD, XS, ERP CONFIRMED & COMPLETE mean? ON HOLD - Awaiting payment confirmation. XS - Cancelled by an admin/ the customer or payment failed. ERP CONFIRMED - Payment received and stock has been reduced. The order is awaiting fulfillment. COMPLETED - Order fulfilled and tracking code is available. How do I make an online gift purchase? It's really simple! You may make an online purchase either BEFORE or AFTER you have registered an online account on The Body Shop West Malaysia website. Select your product and click Shop Now to add the item into your shopping cart. Then, under the Gift Wrapping column please select the products to create your gift. You may continue to browse other items by clicking Continue Shopping OR click on the category tabs on the top page bar. Just repeat steps 1 – 3 for all other selected products. To view the complete step-by-step online shopping for gift guide, check out our Online Gifting Guide. I want to change/add a product to the gift I purchased earlier. How do I make these changes? No problem. You can make changes while you are still selecting items for your purchase. However once you have confirmed your order and finalized payment, no changes can be made to the order. We advise that you carefully review and modify your order before payment submission .Subject to availability. I want PosLaju to deliver the gift on a specific date. How do I arrange it? Don't worry. Kindly contact us immediately after you have made your online gift purchase via email at ecomm.my@thebodyshop.com.my OR call our Customer Service by phone +6(03)- 56324313, Monday to Friday (excluding Public Holidays) from 9am - 5pm for assistance. Subject to availability. For more information please read our Online Gifting Terms & Conditions. I have bought some products for myself and some as gifts for a friend in the same order. Can I send the gift to a different address? Unfortunately, we are unable to deliver personal items and gifts separately at this point in time. Hence, we do advise creating gifting purchases in a separate order with your friend's address. Otherwise, all the ordered items will be delivered to the original delivery address. We currently accept payment via MasterCard and Visa Credit or Debit Card issued by local Malaysian banks only. We also accept Cash On Delivery & online payments via PayPal, Maybank2U, CIMB Clicks, Hong Leong Connect,AmOnline and MEPS/FPX (All banks including RHB and Bank Islam). How do I complete my order payment? Ensure all your selected products are CORRECT in the Shopping Cart. Confirm your delivery details (eg. Address, Phone Number, Name) at the bottom of page. Select your Payment Option and click Submit. You will be directed to the iPay88 online payment portal. Fill in all necessary details accurately to finalize your payment. And you’re done! Upon payment success, you will receive an on-screen prompt to inform you that the payment has been received. At the same time, you will also receive an invoice from The Body Shop AND a payment confirmation from the iPay88 online payment portal via email. Alternatively, you may check the status of your order via My Dashboard. Check with your bank to ensure there are funds available to pay for your order. Secondly, if you are using a MasterCard or Visa credit or Debit card to pay your order, we suggest you confirm that your card is activated and that your 3D securedetails have been entered correctly. Note: Only credit cards issued by local Malaysian banks are accepted. 3D Secure is a security feature which ensures payments using certain credit and debit cards are authenticated by the card holder with their bank at the time of the transaction. 3D Secure is the common name for the technology behind MasterCard SecureCode (MSC) and Verified by Visa (VbV). Your 3D Secure password is setup between you and your bank to further secure transactions made over the internet. If your card is enrolled with 3D Secure, during the payment procedure you will be prompted by your bank to enter a unique password to verify that the transaction is authorized by the card owner before completion. After submitting your MasterCard or Visa Credit or Debit card details at checkout, you will be prompted to key-in a unique security code which you will receive via SMS from your bank. This special security feature is a 3D Secure code. Failure to submit details of your payment or password correctly will result in an unsuccessful online transaction. For further assistance or enquiries, please do not hesitate to Contact Us. It’s only a flat rate of RM10.00 (Peninsular Malaysia) and RM15.00 (Sabah) regardless of weight. However, this delivery charge will be waived if you meet the requirement of our FREE DELIVERY WITH PURCHASE promotion. How do I track my order(s)? Your tracking number will be available to view once your order status states it is Completed. For detailed explanation on our order status please check out the here. You will notice a column titled Tracking code. This is your package tracking number. *Alternatively, you may find your Tracking Number in an E-mail which will be automatically delivered to your Inbox when your order status states COMPLETED. If your Tracking Number still cannot be located, please contact Customer Service by phone +6(03)-56324313, Monday-Friday (excluding Public Holidays) before 5pm for assistance. Can you deliver to an address outside Peninsular Malaysia? Currently, we can only deliver to street addresses in Peninsular Malaysia and Sabah. We do not deliver to PO Box addresses or to other International addresses. What Delivery Service does The Body Shop use? We use NinjaVan & Pos Laju Services to deliver within Peninsular Malaysia and Sabah. Your order will be processed on the same day of purchase for delivery the next working day. Your order will be processed the next working day after purchase and will be delivered out the following working day. However, during Flash Offer and Sale periods there will be expected delays due to heavy surge of online orders. Also, deliveries to addresses outside of NinjaVan / PosLaju accessible areas will require an additional 2-3 working days. *We do not deliver to PO Box addresses. I want to send my order to someone else’s address. What do I do? Easy! If you would like to deliver to another address, simply uncheck Ship to this address to enter your preferred address and recipient details. You must fill in the correct contact details of the person who will be receiving the order. Don’t worry! If you are experiencing a delay in delivery, you can track your delivery via our tracking feature. Refer to Online Tracking Guide. I have received a damaged/faulty/incorrect product! Can I request for a product exchange? How long before I can receive my exchanged product(s)? I purchased an RM50 Shopping Voucher from The Body Shop outlets. Can I use it for my online purchases? At this point, the RM50 Shopping Voucher can only be used in The Body Shop outlets. It cannot be used on the online shop. But keep an eye out for our next upgrade! Valid for SIX (6) months from date of issue. Exchangeable for goods equivalent to or of a higher price than the face value of the voucher upon payment of the difference. Balance in value of this voucher will not be carried forward. Only applicable in The Body Shop stores in West Malaysia except SOGO kiosk. Not valid on online purchases. For all further enquiries, please do not hesitate to contact us via email at ecomm.my@thebodyshop.com.my OR call our HQ at +6(03)-56324313,Monday-Friday (excluding Public Holidays) before 5pm for assistance.